We now use the pre-built workflow to manually enter approvers. We have a new use case, where the approvers are kept in a column in the document library. I understand how the initiation form parameters work, but it's quite a leap to go from there to use metadata. 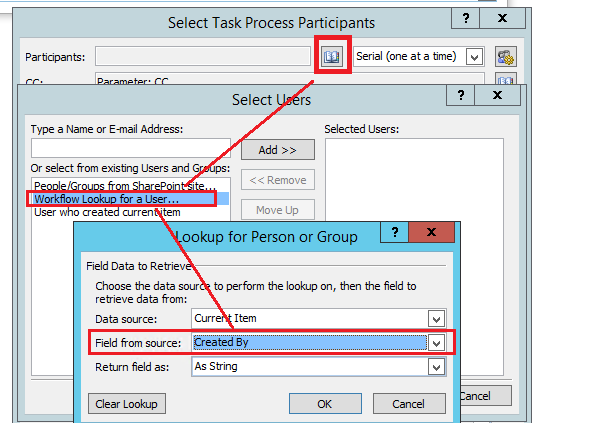 Assuming the approvers are automatically added, the process should always be parallel, not sure how to check that.. Per your description, you want to use a column as the approver parameter. 2. Create a library and enable "Allow management of content types" in Advanced Settings, add the custom Document content type into the library. 4. 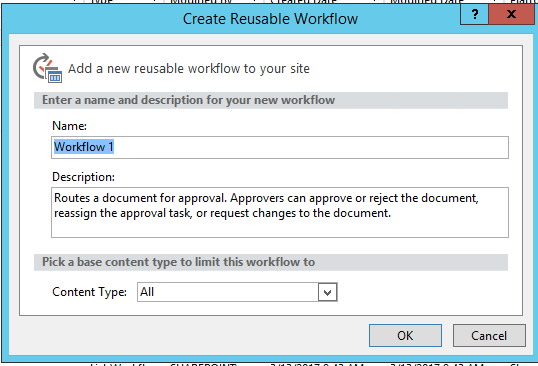 Right-click "Approval-SharePoint 2010" and click "Copy and Modify"
After the above, publish the workflow and create a workflow for the custom content type based on the new reusable workflow in browser. The approvers will be from the people or group column of the custom content type when you use the custom content type for your documents. Not the answer you're looking for? Browse other questions tagged sharepoint-online workflow approval-process or ask your own question. Restart workflow using a field? How to make sure that webhook event is only handled once?